Your favorite protection software, available from the cloud. Symantec offers hosted versions of many of their most popular applications. Symantec’s cloud solutions keep threats at arm’s length by assessing them away from your local network. Managed Security Services leverage Symantec experts analyzing the global threat landscape to minimize cyber attacks. Email Security.cloud can find threats hiding in emails before they get to your server by integrating with Office 365, G Suite, and more. Hosted Symantec Endpoint Protection offers simple, fast, and effective protection against viruses and malware. Symantec VIP integrates multi-factor authentication with your existing corporate resources. Verify logins to both local and cloud environments, and provide a single sign-on (SSO) portal for all your cloud applications. Take your email to the cloud! Office 365 manages your email offsite, so it’s always up and available. Office 365 make email easier than ever, and it comes with both cloud-based and downloadable licenses for the entire Office suite. Word, Excel, Powerpoint and more, anywhere you need them. Let Link Source IT take care of it. Schedule a Free Strategy Review Now! Link Source IT partners with great companies to bring you virtual compute space for any number of applications. We keep our portfolio diverse so we can provide you with the most appropriate provider for your needs. Desktop virtualization from Cloud Jumper is perfect for quickly scaffolding new workspaces for all your users from a single image. Ready to roll out new software? 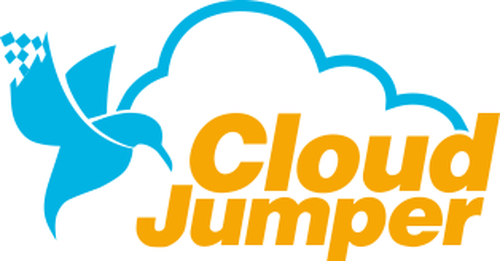 CloudJumper’s workspace-as-a-service solution makes it simple. Need an offsite disaster recovery plan? Need a scalable datacenter without hardware costs? ProfitBricks is the solution for you, helping you scale to meet growing business needs in a cost-effective way.